We partnered with online entrepreneur Chris Sukornyk to help him develop an identity and design for a social community that would improve information sharing and social consciousness about everyday consumer goods. The identity needed to communicate the essence of responsibility and connectivity for a new environmentally focused online community. 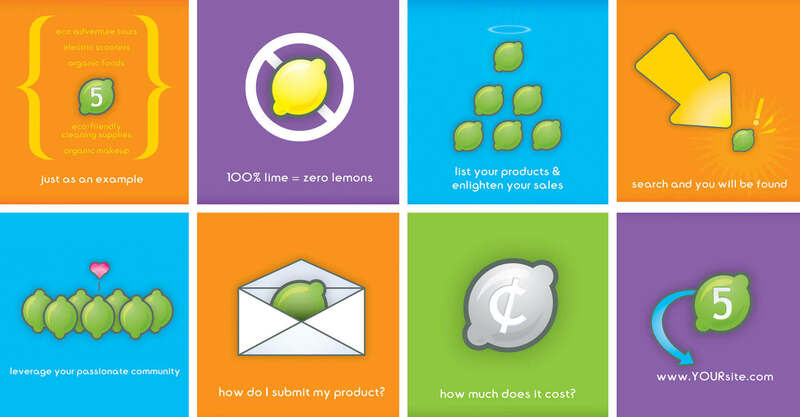 The resulting online community, Five Limes, was predicated upon sharing information about socially responsible and environmentally friendly products. We worked with Chris to create the name, landing on limes as the antithesis of the lemon, the age-old symbol of poor quality, to try to dispel the myth that buying socially responsible products means sacrificing quality. The 5 limes were also used as a rating system for consumers to evaluate the quality of products. 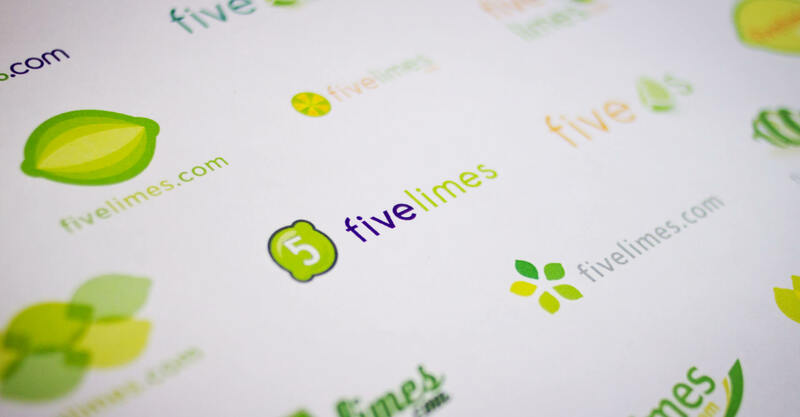 The Five Limes logo featured a green lime, a symbol of freshness and growth. The accompanying typeface is light and contemporary, and easy to execute both in print, and more importantly, online.  Once we had established the brand identity of Five Limes, it fell upon us next to design a temporary page that would explain the concept to early site visitors and entice them to return after the launch of the site. The temporary page featured an RSS feed and blog sign up, so that interested parties could stay on top of what was happening with the new start-up, and also featured some interesting interactive information about how much carbon could be offset and how many dollars in fuel could be saved by a variable number of drivers choosing a hybrid over more traditional automobile choices. Visitors could slide the number of people scale from 1 to 1 million and see exactly what kind of an impact their purchasing choices could make on the environment. After the temporary page launch, we assisted in the development of many of the graphic elements used on the social networking site. 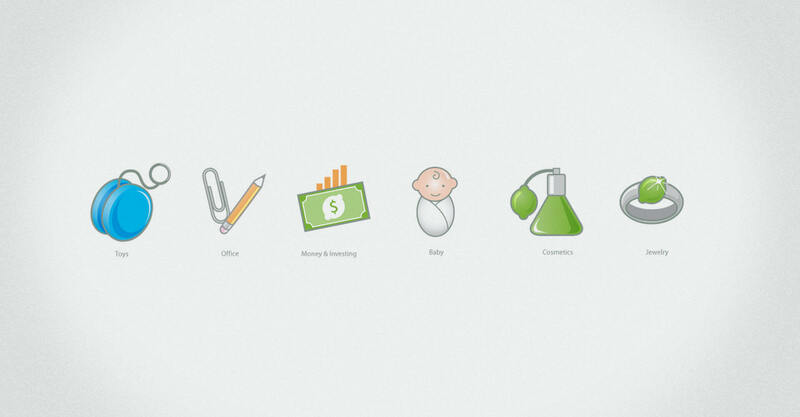 We designed proprietary icons that extend the Five Limes brand and provide visual navigation. 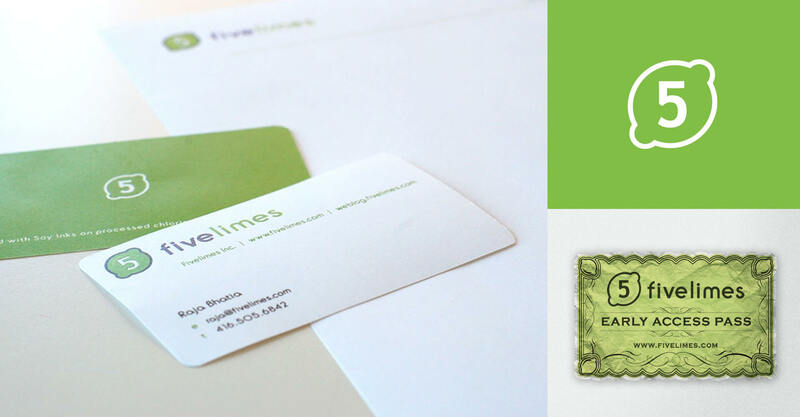 We created promotional graphics that were designed to target merchants looking to provide their services through the Five Limes sustainable product directory. We also created promotional graphics to entice early adopters to sign-up and create their profile prior to the official launch of the site. 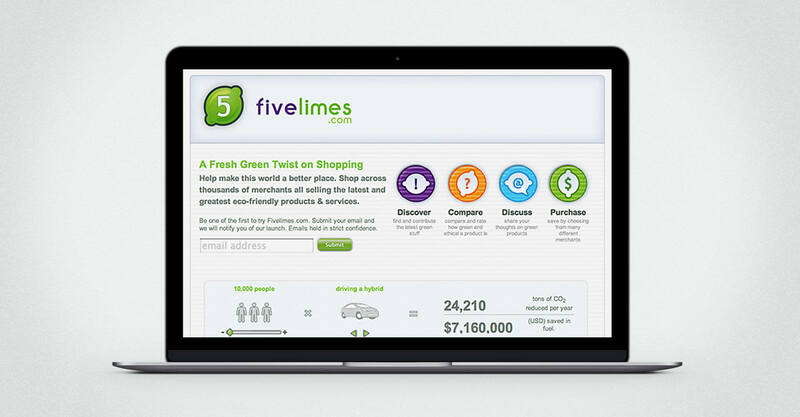 The Five Limes site garnered significant attention in social networking circles, and was sold in 2007 for an undisclosed amount.